Mid-summer flowerbeds can be monstrously frightening. A few weeks back, dark mulch was rich and thick. Edges were crisp, and all was clean. That was late May. A mere six weeks later, ugly invaders have crept in. Early-fallen leaves, scorched by summer sun. Twisted twigs, dropped by thunderous episodes of the night. 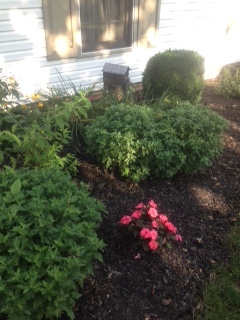 Scariest of all, prickly weeds, stray vines, and rogue tree-upstarts have taken over. What was previously pristine now appears dastardly devilish. However, last Friday morning, I overcame those foolish fears (including my sluggard tendencies). I mustered enough courage to machete my way into the sprawling plots to take on the insidious, wicked weeds. And I was triumphant! Now, the enemies have been vanquished; the beds have been beautified once again. Eden is restored (at least for this week). 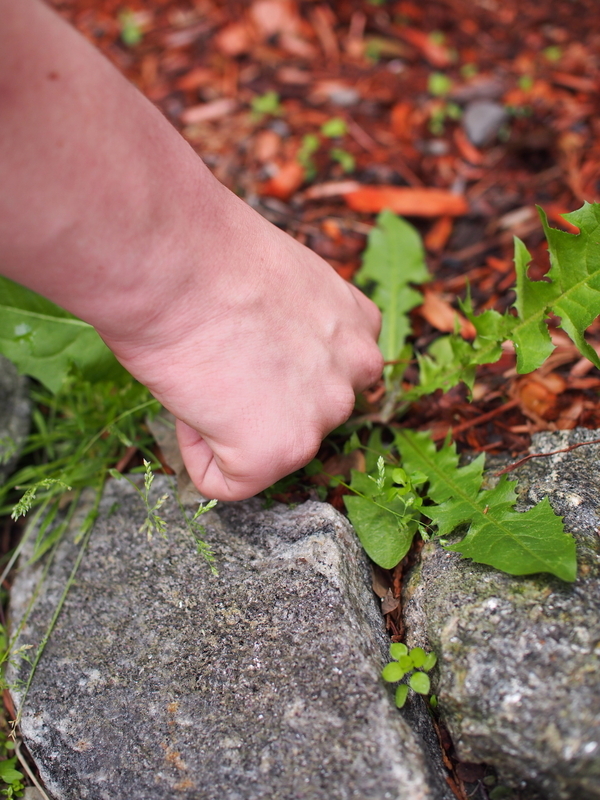 I am struck with the primal necessity of tackling weeds. We were originally assigned the good work of the garden (Genesis 2:15), but such garden-work—all work for that matter—was cursed following the humans’ attempted coup d’état (Genesis 3). Thorns and thistles now spring up, yes literally—yet we dare not miss the metaphor such enemy invaders supply. The weeds and “sweat of the brow” take over what had previously been an uber-productive, marvelously creative, unencumbered workplace. 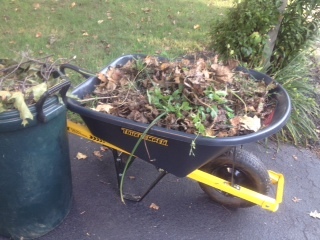 All garden work—every workplace endeavor—is now a place characterized by more difficult, challenging, and even too often treacherous toil. But greater news springs up! Because Christ’s redemption is far-reaching and will eventually transform Creation altogether (Romans 8:18-25), there is this important kingdom-work of weed-pulling. God’s grand story reveals the already-not-yet nature of Christ’s kingdom. With Christ’s first coming and the inauguration of his kingdom, sin’s curse is indeed broken—AND then, there’s more to come! In all such interplay, we live with longing anticipation of all Christ will eventually fulfill, AND for now we work/serve by grace to impact all the God-glorifying, kingdom-advancement we can (Ephesians 2:10). In the here and now, we boldly work to pull weeds and make room for more creative, glorious beauty to spring up. Allow me to suggest a poignant, mid-summer discipline for cultivating the soul and action of your daily work. Ask yourself two questions and make two answer lists. First, what do I need to weed out of my own life and leadership habits, in order to make room for the greater work of God in me and through me? (Don’t skip this painful but highly important, personal cultivation step.) What needs yanked from your life to make room for fresh growth? Second, what can and should be weeded from our workplace, business, or organization to make room for greater creativity and productivity? Two corollary, sub-questions: What should we stop doing in order to do the main thing of our mission more effectively? And what hard decision or proposed changes have we been putting off, but NOW is the time!? Brilliant life-strategist Henry Cloud calls this pulling the tooth. Too many of us put up with a nagging toothache for too long. Henry winsomely implores us to take action, now rather than later. Make the dentist appointment. Sit in the chair and get it pulled. Makes perfect sense for your mouth, so why not in your life and leadership at work? Muster the courage to take action on attitudes, habits, negative people, and unfruitful team practices that really need to go. Pull the weeds, make room, and experience the joy of greater growth in your own life and your workplace this summer! Ben Witherington III supplies engaging discussion of such in his thoughtful work, Imminent Domain: The Story of the Kingdom of God and Its Celebration. Andy Crouch, Culture Making: Recovering Our Creative Calling. (IVP, 2008), 74-75. Henry Cloud, 9 Things You Simply Must Do to Succeed in Love and Life. (Integrity Publishers, Nashville), 43-67. 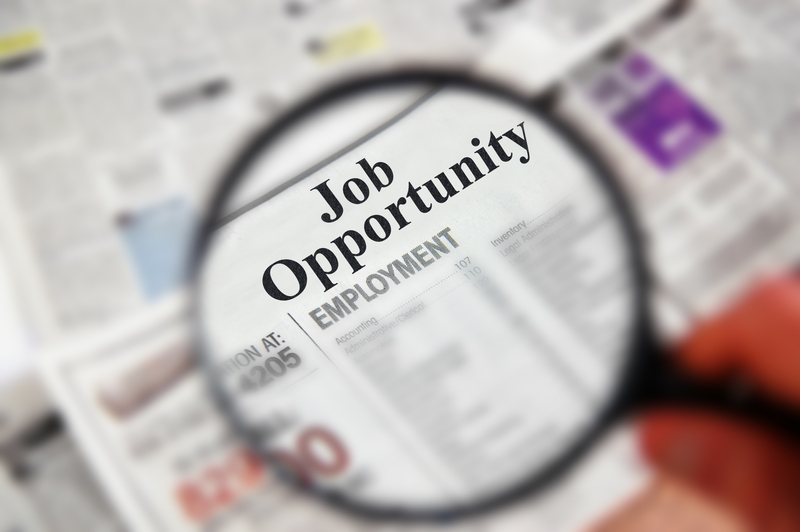 In our previous post, I introduced the issue: How can parents ready a next generation of workers? How can we know with confidence that our kids are growing up truly ready to engage in a lifetime of God-honoring endeavors in all they do? We are joined again by Dr. Christian Overman, the Director of Worldview Matters. http://www.biblicalworldview.com. John: “Wow! Perhaps I should try that as a motivator for getting my kids to actually DO their homework. Ha! Seriously though, it strikes me that getting over that barrier, this ‘great divide,’ is a humongous key to reshaping our framework and helping a next generation realize that they truly can be doing all for the glory of God (1 Cor. 10:31). Want to know more? Intrigued to take this further with your kids and your own workplace perspectives? 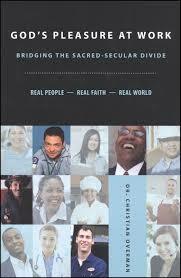 Grab empowering ideas from Christian’s book God’s Pleasure At Work: Bridging the Sacred-Secular Divide.